If you want to buy a car, but don’t want to haggle with salespeople or spend weeks reading the classifieds, using a car buying service may be exactly what you need. It could save you time, aggravation, and even get you a better deal. With that in mind, there are several national services available to help you find both new cars and used cars that fit your needs and budget. What Is a Car Buying Service? If you haven’t mastered negotiation strategies and techniques, a car buying service can help you get a better price on the car you want, without having to haggle. Generally, either an employee of the service will directly negotiate for you or the service will have worked out exclusive deals with specific car dealerships beforehand. Either way, you’re able to get the car you want at a reasonable price without the stress. However, while car buying services can help you find a good deal, you may not always be able to get the exact model or combination of features you want, especially with used cars. Also, some services charge a fee and don’t assist with financing. Many organizations offer car buying services to their members for free. So if you belong to any of these organizations, see what they’re willing to do for you when you want to purchase your next car. Keep in mind, however, that because the following services are free, you may not get as low of a price as you could from a service with more personalized support. With the USAA car buying service, members get pre-negotiated prices on new or used cars at dealerships nationwide. To use the service, simply find the car you want with the research tools on their website. Then, submit your request to up to three dealerships in your area. Following this, you’ll receive a price certificate with the details of the car you want at a price below the dealer’s invoice. Once you print the certificate, you’ll take it to the dealer, where they’ll try to match your requested vehicle, options, and price as closely as possible. USAA also guarantees that if you find a lower price on the same car within three days, they’ll refund the difference. Costco members have access to discounts on new and used vehicles through the Costco Auto Program. Dealerships that participate provide special discounts and streamline the car-buying process by removing haggling with pre-set prices. In fact, each dealership in the program maintains a “members-only price sheet,” which lists specific prices for Costco members. Most dealerships will provide you with it on request. You can search for a new or used car and get an informative price quote through GEICO’s online car buying service. 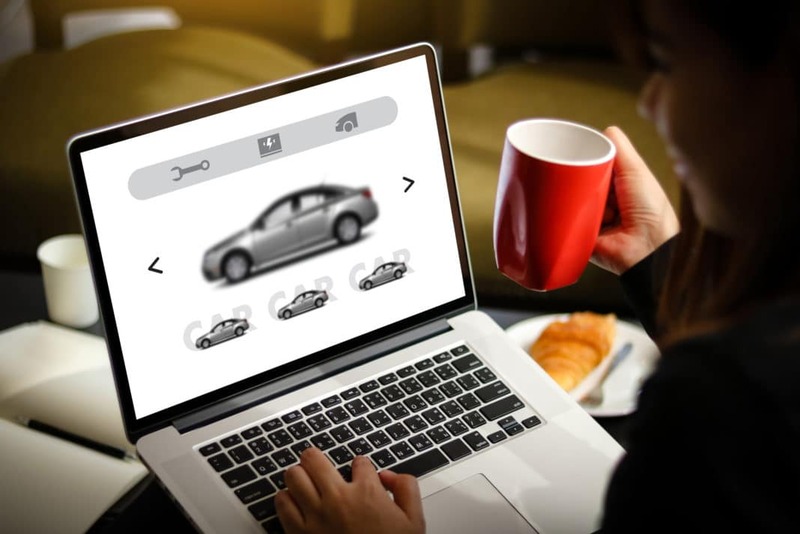 Their search tool for new cars delivers quotes from dealers, as well as the dealer’s cost and the average price paid for that model. This way, you can better determine if the quote is a good deal. Alternatively, you can search their database of used cars which come from certified dealers. Many of these cars come pre-inspected with available warranties and free CARFAX reports as well. If you’re a Consumer Reports subscriber and want to purchase a new car, take advantage of their free Build & Buy car buying service. Pre-screened dealers provide quotes on the exact model you want with the options you choose. You can get as many quotes as you want; they’re all guaranteed, and of course, there’s no obligation to purchase. Plus, if you qualify for special incentives, including unadvertised ones, they will be listed at the top of your original price quote. Many of these car buying services are actually run by Zag, a separate car buying company that leverages the group buying power of various organizations to offer guaranteed upfront pricing. In addition to some of the ones listed above, other affiliated organizations include American Express, Bank of America, Overstock.com, Sallie Mae, and NEA MB. If you’re not a member or customer of any of these companies, you can go through the separate site, Drive Your Dream. If you don’t belong to any of the above groups or if you want more personalized service, there are several options that will provide help with car buying for a fee. These companies can often get better prices than their “free” counterparts and are more creative when it come to getting a good deal. For example, they may suggest viewing cars from outside your area or ones with slightly different features. The staff at ACBS personally handle purchase requests and will negotiate directly with a dealer in order to get you a great price. You can get a non-personalized quote for free, but a negotiated price quote requires a fee of $75. Once you have decided to purchase the car, you’ll need to pay an additional $275. Reviews note that the deals this service has gotten are at a significant discount to sticker price, and that they are able to locate hard-to-find vehicles. Moreover, when you’re ready to purchase the car, ACBS will get a signed buyer’s order for you, so that you know the price you agreed on is the one you’ll pay. Also, your price quote will not include any dealer add-ins, such as additional services or equipment, unless you request them. This also helps you avoid hassles in the sales office. Going directly to the Internet sales manager at a dealership is often a good way to get a better price. But it can be annoying to keep track of and compare all offers. CarWoo, however, will contact dealerships for you and help you determine which offer is best. Dealerships that provide an offer can also see other offers as well, which encourages competition and a better price for you. You can even state a price you’re willing to pay and see if a dealer will accept it. Once you find a price you like, simply bring your CarWoo certificate to the dealership and buy the car. It should be honored without question. You can also negotiate leases on new cars with this service. CarWoo offers two plans: the Basic plan and the Plus plan. The Basic plan at $49 allows you to run a price search for one car without some of the above features. The Plus plan at $99 offers additional features and allows you to get prices on up to three different cars. Want a former car salesman on your side? The staff at Carsala know the tricks of the trade for getting you to pay more for a car than you need to, and they help you sidestep those games to get a good price. If you don’t save money, they don’t charge anything. The price of their help is just 20% of how much you save from the dealer’s asking price, up to a maximum of $399. In fact, the more money they save you, the more money they make. You can be very specific or very open about the type of car you want and Carsala’s website will select the cars that are the best deal on the lot at that time. Then, their team will step in and negotiate a great deal. If you’re only interested in the website’s search function, that’s available for $49. If you hate negotiating, you’re probably not getting a good deal. But by using a car buying service, you don’t have to worry about negotiations, which can save you stress and money. Plus, with the price guarantees that many programs offer, you can avoid buyer’s remorse if you see a better price later on. Have you tried a car buying service to help you get the best deal on a vehicle? How much did you save and what was your overall experience like?